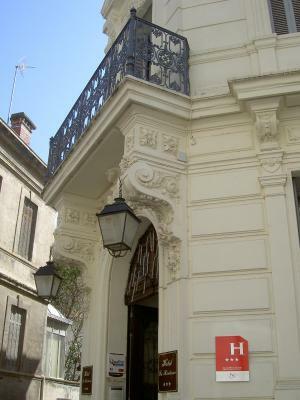 Lock in a great price for Hôtel La Résidence – rated 8.6 by recent guests! Five minute walk to a wonderful market in the mort. The nearby market, open every day except Monday is a 5 minute walk. Excellent restaurant 1 min walk away. The room was beautiful and charming. They were very welcoming to our little dog. Muy buena ubicación, realmente es dog friendly y las habitaciones son bonitas . Very good location, real dog friendly place and the room was nice. Excellent location. Decent rooms and breakfast. Friendly, helpful staff. The staff was MARVELLOUS. The location was excellent. The hotel is close to the city center. There is a terrific breakfast in the morning, and free coffee/tea and snacks in the afternoon. The room was sparkling clean, the staff were great and their is discounted parking onsite. It's a little tricky to find if you are driving, but worth the search. Excellent location. Quirky mixture of interior design. My single room was very small, but adequate. The location of the hotel was great and I enjoyed the local sights. Because I was also there on a Sunday, I was able to visit the market held next to the river and grabbed an inexpensive scarf for the rest of my trip. 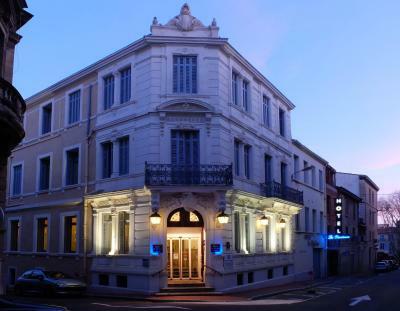 One of our top picks in Narbonne.Hôtel La Résidence is set in a 19th-century building, in the center of Narbonne It is 150 feet from the canal and 500 feet from Narbonne Cathedral. Free WiFi is provided. 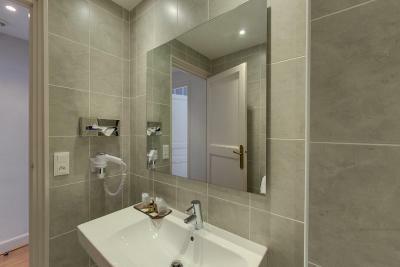 All the rooms offer air conditioning, a flat-screen TV, a mini-bar and tea and coffee making facilities. The bathroom comes with a bath or a shower. In the morning, guests can enjoy regional produce from the buffet breakfast. The onsite bar offers a selection of local Corbières and Minervois wines. Regional soap, honey and jam can be purchased on site. Shops and restaurants can be found less than 350 feet away. 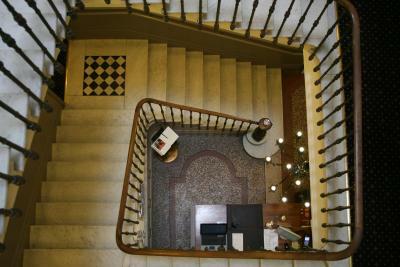 The property is a 5-minute walk from Cours Mirabeau and a 10-minute walk from Narbonne Train Station. Public parking is available nearby. This air-conditioned room has a flat-screen TV with satellite channels and tea and coffee making facilities. This air-conditioned room has a flat-screen TV with satellite channels, a courtesy tray and a Nespresso coffee machine with 2 free coffee pods. Some rooms have views of Narbonne Cathedral. The hotel was built at the end of the 19th century was the "Residence" of the family « Aiguille » before becoming a hotel in the 1970s. Since its inception, it has hosted many celebrities from the world of arts, entertainment and politics. ANCV Chèques-Vacances Hôtel La Résidence accepts these cards and reserves the right to temporarily hold an amount prior to arrival. Please note that the reservation for a baby cot must be confirmed by the hotel. Please note that small groups can be accommodated upon request only. For more information, please contact the property. Guests with reduced mobility are required to contact the property before arrival. Staff were really attentive and genuine. Cycle security was excellent. 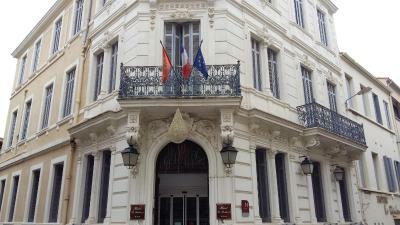 A few hundred metres from the main square and 10 minutes walk to the railway station. The staff was really nice and accommodating. Location was great in the heart of the old town, although the old town is relatively small. The breakfast was very good and the staff friendly. The decor and furnishings are stunning. A very minor point but it would be nice to have an English language channel on the television. We found this a good, clean and comfortable hotel. The location was convenient for the railway station and the town centre. The staff are brilliant - welcoming, generous and helpful. 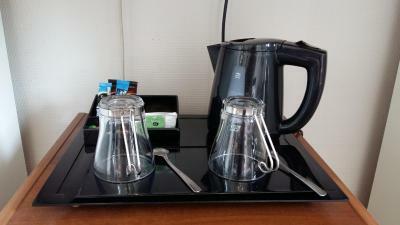 We liked the welcoming tray and kettle and tea/coffee in the room. It took a long time for the hot water in the bathroom to come through but this is a very small criticism! 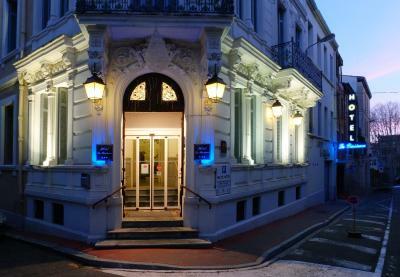 This is a very comfortable hotel set in the historical centre of Narbonne. The decor, furniture etc are in keeping with the age of the building. The ladies at reception were charming, helpful with suggestions for dinner and provided a lovely breakfast in the hotel. Parking is easily available beside the hotel, metered during the day but free in evenings and weekends. 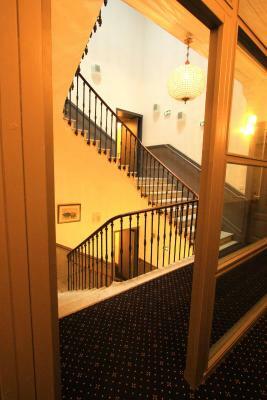 The hotel is in a good location to explore the canal and historical area and close to shops and restaurants. A bit difficult to find, but worth the effort, the room was comfortable and clean, but best of all BBC television news, so, I was able to keep up with the Brexit debate and other world news. The breakfast was more expensive than previous hotels but it was worth every penny, I hope to stay again one day soon. They could have upgraded us to a room with elevator access due to my breathing problems.....as many other hotels have, but we had to pay more for a larger room with lift access even though there were few people in the hotel..
Great view of the Basillica, great breakfast, nice decor.